On the Road to Recovery. Discover Acupuncture for Yourself! Chrohn's Disease — I went to the Kamloops Acupuncture Clinic because I suffer from Chrohn's Disease and was told acupuncture could help my condition. Everyday I suffer pain in my stomach and would run frequently to the bathroom. After only a few visits my pain and number of bathroom trips were reduced. I could actually feel something happening after the first treatment and couldn't believe that after a few sessions I noticed a change in something I've been living with for almost a decade. I was afraid of acupuncture because of the needles but it does not hurt and Dr. Ping He is very gentle so you hardly notice the needles. Acupuncture really does work! Thanks Acupuncture Clinic. — Cary G.
Bone Growth In Left Rotator Cup And Sprain Of Lower Back — Prior to going to the Clinic I sought medical aid to alleviate the pain in my left shoulder. It was to the point I could not sleep or sit without constantly changing positions to relieve the pain. I was given a number of pain killers but none had any effect. After 5 acupuncture treatments I was able to sleep through the night. I continued with 3 additional treatments and the pain has subsided. I had a similar occurrence with my lower right back. After 5 acupuncture treatments, I am back to approximately 90-95% of where I was prior to my injuries and able to function on a daily basis including playing golf. — Bill R.
Migraines — After suffering from migraine headaches for more than 25 years, I have finally found something that works! The headaches were getting worse to the point of, on the average, two migraines a week. 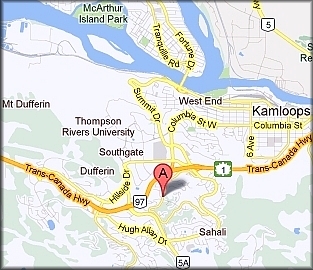 In January 2004 I saw an ad in the Kamloops Daily News regarding acupuncture treatments. Thinking I have nothing to lose, I decided to give it a try. What a difference! Before I knew it, I was down to only two acupuncture treatments a month and then they were completely gone. I haven't had a migraine in 7 years now! Acupuncture treatments and Dr. Ping have given me normality back to my life! Thank you! — Judy H.
Anxiety, Depression, And Irritable Bowel Syndrome — I have suffered from anxiety and depression most of 64 years. I came to Dr. Ping He in 2005 after a car accident. I had post traumatic stress and was taking medication with many side effects. After four acupuncture treatments I was feeling less anxious. I kept taking the treatments once a week for two months and then tapered off. I do not suffer from anxiety or depression any more. I go for treatments, as I feel I need one, about every 4 to 6 months. Acupuncture has given me a quality of my life that I never had. I do not take medication. The treatments also cured my IBS. I am very grateful to Dr. Ping He for her understanding and professional care. — Janet T.
Pain — After my dad overworked at the garden he felt pain on his leg, especially on his left knee. The next day morning, he was barely able to walk around and felt the pain so much on his left leg. He couldn't put any weight on his left one. He complained so much pain. I was going to take him to the family doctor. My mom suggested to go to Dr. Ping. My mom also had treatments from Dr. Ping. The first day we visited Dr. Ping, my dad needed my support and walker. The second day he felt less pain and also was able to walk by using the walker by himself. The third day we visited my dad didn't need the walker either. I am sure after this third treatment he will be fine. This is what happened to my dad in a week from the injuries to the healing. Amazing! Thanks Dr. Ping He. — Richard L.
Dizziness / Balance / Stress — Treatment from Dr. Ping He has relieved my symptoms of dizziness, reduced balance and light-headedness. Her treatment has also been beneficial in reducing stress to aid in maintaining normal blood pressure. Dr. Ping He is very professional but with a very pleasant and helpful nature. I would recommend treatment by her to anyone with these or other ailments considering acupuncture treatment. — John W.
Asthma — My acupuncture treatments reduced my coughing and pressure on my chest that came from the effects of asthma that I suffered from. — Mel C.
Pain — I had a jammed wrist, which prevented me from holding anything. I also had pains in a heel and used special insoles to walk. After treatment by Dr. Ping He, I can again play golf and walk without pain. I no longer need the insoles. — L.L. Dr. Ping He is fully trained in both Western and Traditional Chinese Medicine (TCM), and has been practising in China, the United States and Canada for more than 20 years. 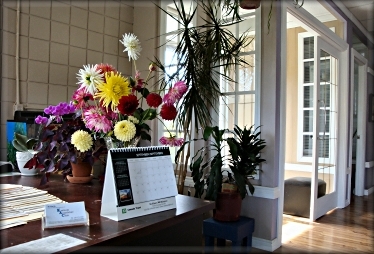 We offer a complete healing system that focuses on improving your overall health and well being. 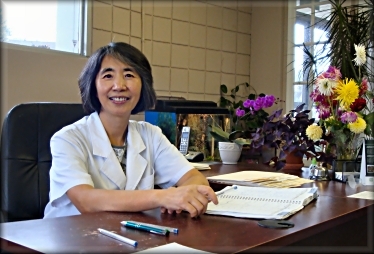 This is accomplished by implementing a variety of treatment techniques such as: Traditional Acupuncture, Navel Acupuncture, Scalp Acupuncture, Auricular (Ear) Acupuncture, Facial Acupuncture, all with or without electro-stimulation (Electro-Acupuncture), Acupressure, Reflexology, and Tui Na (Chinese Massage). In our modern society, natural therapies and Traditional Chinese Medicine (TCM) are becoming more and more readily accepted. It is a safe and effective alternative or complement to western medicine. TCM focuses on disease prevention, treating chronic or acute ailments, as well as addressing the impact that spiritual and emotional well-being has on ones health. It is said that ancient Chinese sages, while observing the movements within nature and the Universe, discovered that the body and all living things have their own energy systems of life force" called "Qi" (chee). Qi is similar to what we know as electromagnetism or bio-electric energy. When this energy is disturbed or blocked, discomfort or illness results. Unseen lines of energy, called meridians, are said to traverse the body. These meridians have superficial pathways along which acupuncture points are located and deep pathways that lead to the internal organs. The insertions of thread-like, stainless steel needles at these bio-electrically charged points stimulate the flow of Qi and help to restore equilibrium. Studies indicate that acupuncture influences the central and peripheral nervous systems, releases endorphins to reduce pain and stress; affects sugar, cholesterol and triglyceride levels in the blood, and can also enhance the function of the gastrointestinal and the activity of the endocrine system. Acupuncture works with the body, strengthening and balancing energy. It improves circulation and allows the body to heal itself more quickly and more completely. Navel acupuncture, while based on ancient Chinese acupuncture theory, is just over a decade old. It is the newest of all the acupuncture techniques. It has already proved its outstanding effectiveness through thousands of clinical trials in China and in the hands of qualified practitioners today. It produces superior results on various pain conditions such as arthritis, migraines, tennis elbow, neck and back pain, frozen shoulder, sciatic, shingles, trigeminal neuralgia etc. Navel acupuncture has also proved to be valuable in helping treat many difficult conditions such as heart disease, hypertension, Parkinson’s Disease, Lupus, spinal cord injury, stroke, depression, prostate problems, sinus allergies, asthma, psoriasis, amenorrhea, tinnitus, and weight loss. Scalp acupuncture is a specialized form of acupuncture that excels in the treatment of nervous system disorders yet it can be used to treat most of the same disorders as regular acupuncture. It is often used in addition to traditional acupuncture, and it follows the same general theory of traditional body acupuncture. 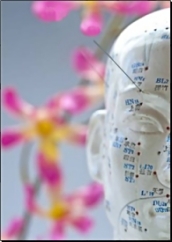 Facial Acupuncture is a safe, effective and non-surgical procedure in which fine, sterile and disposable needles are superficially placed at various acupuncture points along the body and face. Facial Acupuncture treatments are used to ensure a smooth and proper flow of Qi (or Vital Energy) throughout the face and body and to stimulate an increase in elastin and collagen production. This increased production helps in the reduction or the erasure of fine lines and the softening of deeper wrinkles. Additionally, many experience an enhanced skin tone, the firming of jowls and a reduction in the size and appearance of under-eye bags and dark circles. This adds a firmer look to the skin, resulting in a more youthful and radiant complexion. Acupuncture points on the ears are used to regulate the body's internal organs, structures, and functions, as well as, release endorphins. Endorphins are natural chemicals produced within the body that reduce pain and produce a general sense of well being. Auricular acupuncture re-balances the body by stimulating specific points on the ear that correspond to different parts of the body. It is very effective in the treatment of addictions and pain, and it is used in conjunction with regular acupuncture for treating chronic conditions. Auricular (ear) therapy is similar to body acupuncture, but is applied to the external ear. All parts of the human body are represented in the ear and can be used for supplementary diagnosis, prevention, or treatment of diseases. Electro-Acupuncture is a form of acupuncture where a small electric current is passed between pairs of acupuncture needles. The frequency and intensity of the impulse being delivered is adjusted, depending on the condition being treated. According to the principles of Chinese Medicine, illness is caused when Qi (energy) does not flow properly throughout the body. Your practitioner will determine whether your Qi is weak, stagnant, or otherwise out of balance, which indicates the points to be stimulated. Electro-Acupuncture is especially useful for conditions in which the Qi is stagnant and accumulated, such as chronic pain syndromes, or in cases where the Qi is difficult to stimulate. Electro-Acupuncture is used for a variety of conditions. It has been effectively used as a pain reliever for muscle spasms, a form of anaesthesia, and a treatment for neurological disorders. Acupressure uses different massage techniques to stimulate specific acupuncture points. It can be used instead of, or in addition to acupuncture. Acupressure is essentially acupuncture without needles. Acupressure is used to stimulate the flow of Qi (energy) and is a viable alternative for those that are fearful of needles, for children, and for those who are especially weak. It is very effective in restoring strength after illness or for acute pain conditions, when needles can not be used. Reflexology is a natural healing art based on the principle that there are reflexes in the feet, hands and ears, which correspond to every part, gland and organ of the body. Through application of pressure on these reflexes, the feet being the primary area of application, reflexology relieves tension, improves circulation and helps promote the natural function of the related areas of the body. The blockage of your energy field, or Qi, can prevent healing. By manipulating these reflex areas practitioners can improve your health by stimulating your Qi. The pressure applied to the feet sends signals that balance the nervous system and releases endorphins that reduce stress and pain. One aspect of Chinese Massage Therapy encompasses massaging of the foot. Areas of the foot reflects the organs in the body. By administering specific calculated pressure and stimulation to the foot it will cause respective organs and tissues to respond. 1. Balancing yin and yang (the positive and negative charges) of cells to restore normal functioning of the body. 2. Reflex through the nervous system to reconnect and cause changes of respective organs. 3. Induce blood circulation to nourish tissues. 4. Stimulate acupuncture points to clear blockage in meridians and channels. Chinese Foot Massage has a long history and is proven to be effective in treating various chronic conditions with marked results in headaches, insomnia, depression, menopausal syndromes, hypertension, diabetes, thyroid and sinus conditions. Acupuncture is one of the oldest forms of healing. It originated in China 5000 years ago and is still used by over 50% of the world population. It functions as a complete system of medicine to many, including prevention, diagnosis and the treatment of illness. Treatment is performed by the insertion of stainless surgical steel needles at designated acupuncture points. Needles were first made of stone. Bamboo, bone, gold and silver were also used. These metals were thought to have magical powers. Today the needles are made of surgical stainless steel. Each acupuncture needle comes in a single package and is sterilized. After each single use, the needles are discarded at the hospital in a special disposal unit. The needles vary in length from 1/2 inch to 6 inches. The acupuncturist uses the size best suited to the patients build and the location of the point to be used. The depth of insertion depends on the point being used and the layer of fat to be penetrated. Acupuncture is based on the principal of a continuous flow of 'life energy' throughout the body. When the body flow is in balance, there is health. If the balance is disturbed, there is illness or pain. This life flow originates from the major body organs moving in a continuous circle along paths called meridians. The twelve main meridians are interconnected by sub-meridians which allows the life energy to be sent to other meridians as it is needed. This energy flow passes through designated points along the meridians called acupuncture points. It is these points that the energy flow can be stimulated along with the organ itself. By inserting needles into a certain acupoint, an acupuncturist can re-balance the energy flow of the human body and heal diseases. The needle is much finer than the needle typically used by your M.D. These hair-thin needles penetrate the skin easily. The insertion is almost painless, a lot like a light mosquito bite and sometimes not even that. Each person is unique therefore, the number of treatments depends on the individual and the seriousness of the condition. A series of treatments vary from 6 to 10 or more. We recommend at least 3 treatments per week when you start. Only one treatment cannot help for most cases. What Effects Or Reactions Can I Expect? Most patients find the treatments very relaxing which bring on a feeling of well-being. In fact, many patients fall asleep during the treatments. After the first treatment or two, some patients may experience a mild discomfort. This will pass quickly as it is an indication of a positive response. There may be a worsening of the symptoms, but this will not last long. After that, your body will begin to go back to normal. This is a listing of some of the many diseases and disorders that can be treated with acupuncture.